The Mono Vampires might be out of the playoff race, but they won’t be slacking off anytime soon. You have been warned Singapore Slingers. After the Saigon Heat survived Will Creekmore’s revenge game on Sunday, the Mono Vampires were officially eliminated from the playoffs in their maiden season of the ABL. It honestly would have been much of a better story to have had them decide their own fate, but whatever the case, the Vampires have nothing to be ashamed about. 3 wins might not seem like much (and well, it isn’t) but the Vampires have shown game in and game out that they can hang around with the best of the league whether it is a 4 point lost to the Dragons, dragging a determined Hitech Bangkok City team into overtime, or their past two games against the Slingers. The Vampires have shown that they have potential to improve and should be considered more seriously next season. Let’s take a look at the last two times the Vampires played the Slingers. Even at home in their stronghold of OCBC Arena, the Slingers struggled to blow out the Vampires. The Vampires would always come to within 2 points before the Slingers got bailed out with some big shots. The Slingers will be visiting the Vampires this time and they will be facing what seems to be a new team…again. The first time they played, Mono were using Quincy Okolie and relying heavily on Ratdech Kruatiwa’s three point shooting. The second time they played, Mono had changed to Mike Fey and acquired Froilan Baguion. The Slingers might be able to consider this matchup as playing against a whole new different team as the Vampires changed to Cleveland Melvin, added Leo Avenido, added Chitchai Ananti, and are looking at a resurgence from Kannut Samerjai. The scouting team should be very confused especially with the heavy roles that the new additions are playing in. But as confused as they may be, the Slingers can’t afford to slip. They don’t have a firm grip on outright homecourt advantage throughout the playoffs. Winning this game doesn’t solidify anything, but losing this game could mean a drop to the third seed if things go wrong. It’s been a month and a half since the Slingers played on the road. Wu Qingde has cooled down a bit and even if Wong Wei Long picked up the shooting slack with 6 three pointers in the last game, we’ll get to see if the Slingers are as big of a deal as they have been at home. 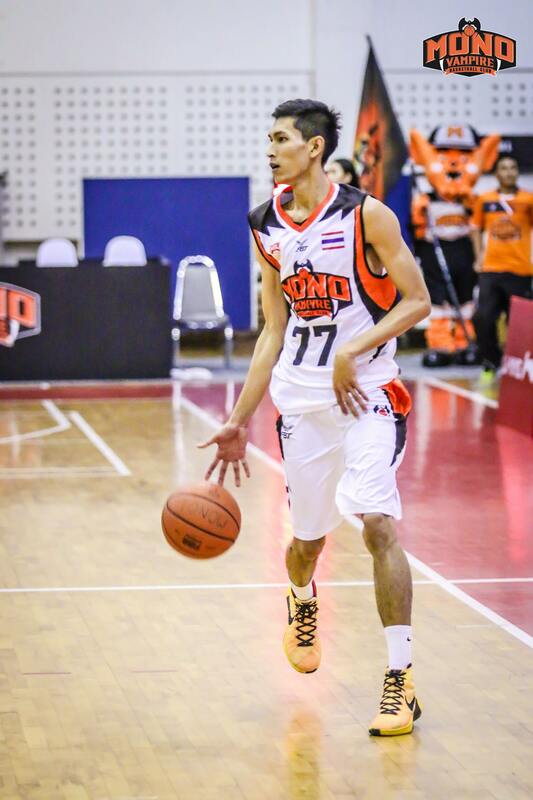 If the Slingers win, it will be quite a statement to the KL Dragons and Hitech Bangkok City. But if the Vampires beat them down, the other playoff teams will start licking their chops. I don’t think I’ve given enough love to Ananti here. The long wiry forward has made the Vampires a whole different team. He has a similar ferocious penetration drive to Darongphan Apiromwilaichai, but is more efficient finisher with his long stride and arms. He should (once again) be a main part of the Mono Vampires offense to keep the Singapore Slingers busy. Mono can really pull this off. The talent is there. The Slingers are going to have to adjust back to playing on the road. There is literally zero pressure on the Vampires. I say that the Mono Vampires take down the Singapore Slingers at home by 5 points.